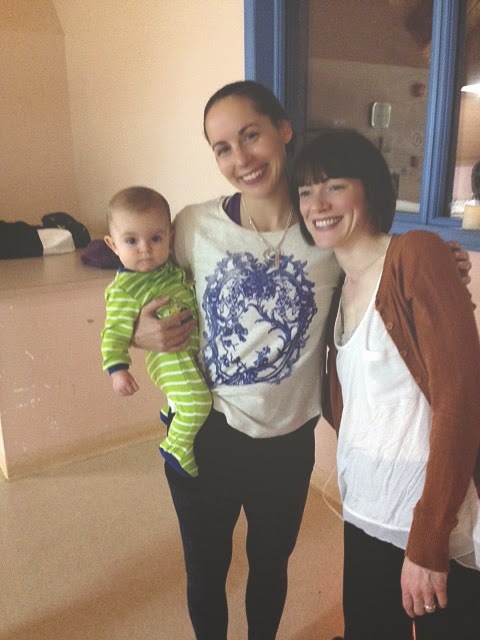 Julia Civka with son Jonah and yoga instructor, Amanda Coe. I wanted to share with the Prairie Yogi community the details of a beautiful candlelight yoga vigil that I hosted January 10, 2014 in honour of my Dad. My father, Paul Civka, was a super cool guy from the Czech Republic who loved soccer, hockey, music, nature, traveling and most of all, his family. Dad was diagnosed with Parkinson’s disease at age 56. Despite the illness slowing him down, he still continued to sing with The Pas Community Choir, cycle everywhere he went in town and entertain those he came in contact with. He was known as a prankster in town; a trait that he definitely passed on to my three sisters and I. When Dad died on November 16, 2013, I knew that I wanted to do something special to honour him. 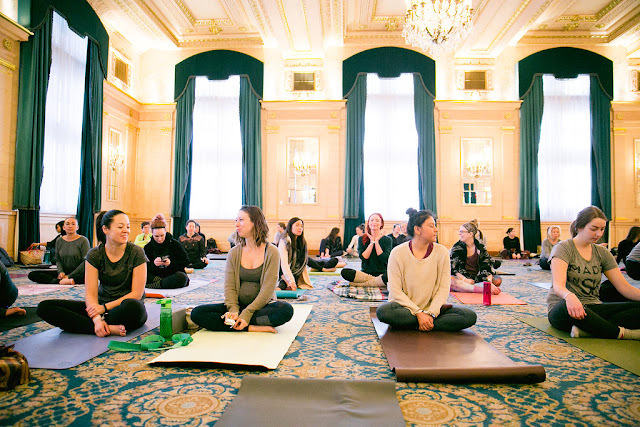 I asked local yoga instructor and owner of Kuhlektiv Yoga Studio, Amanda Coe to lead a yoga class in Dad’s honour. 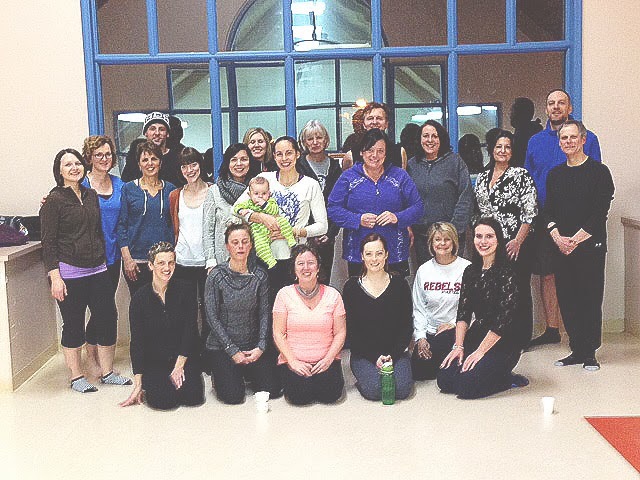 She graciously accepted and suggested a candlelight yoga vigil at Robert A. Steen Community Centre. 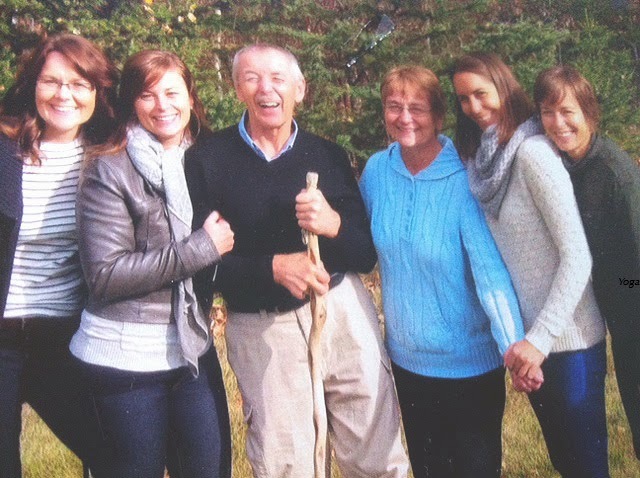 On the evening of Jan 10, 2014, thirty of my closest friends and family members joined me for a beautiful vinyasa flow class to honour my Dad. As the class began, Amanda said “this playlist is seriously one of the funniest and weirdest playlists I’ve ever made.” My sister then turned to me and said “that was dad, funny and weird.” The playlist consisted of the following songs: Ave Maria, King of the Road, Hallelujah, Feliz Navidad and Somewhere over the Rainbow. At a few points during class, the music randomly cut out; something that Amanda said has never happened before. We think it was our Dad’s spirit that was letting us know he was present with us. Since Dad loved animals, Amanda had us in crow pose, downward facing dog, eagle and cobra. Amanda spoke of how our Dad was a fighter and he truly was. He endured a knee injury and reconstruction, brain surgery twice and a hip fracture with a repair in the past three years. 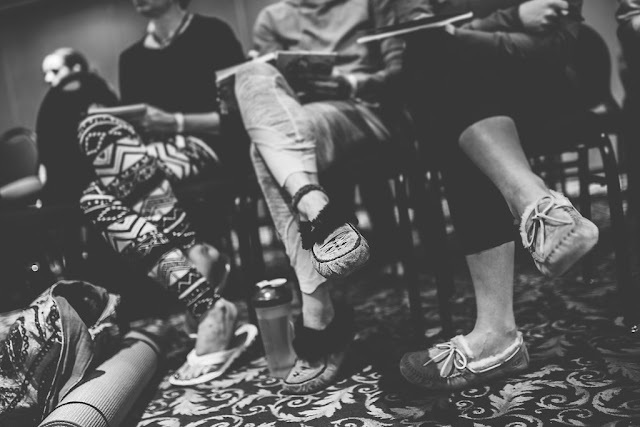 As we practised the warrior series, I felt that the entire group could feel his strength. Amanda also had us in heart opening poses to release grief and to feel protected by Dad. Every posture was strategically planned to honour and respect our Dad in some way. Even during the song Somewhere over the Rainbow by Israel Kamakawiwo’ole, she led us through a series of bridge poses; just like we were the rainbows appearing after the storm. This concept truly reflects our Dad’s journey; he suffered so much physically, mentally, emotionally and spiritually over the years and now he can enjoy the rainbow after the storm. My sister and I discussed after the vigil just how cathartic the experience was for us. We were wrapped in love by our friends, held up by Amanda leading us through the healing journey and were watched over by Dad who was likely smiling with pride that yet another party was thrown in his honour. Thank you so very much to the group for attending and for your generosity. We raised over $500 for the Parkinson’s Research Foundation. Also, a HUGE thank you to the following people who assisted with the organization, provided refreshments and donated prizes for the vigil: Amanda Coe, Jacquie Daoudi, Jacquie, Gord and Rianna Friesen, Sam Machulenko, Diana Smith and Laura Wesenberg. Julia Civka Civka lives in Winnipeg, Canada where she works as a nurse. Civka has been practicing yoga for 15 years and finds the breathing, asanas and sutras of yoga very grounding. "I began practising initially to prevent injury from running and teaching aerobics but then I became hooked on the spiritual aspect." Beautiful Jules! Thank you Amanda for the heartfelt tribute to our beloved Dad. This is absolutely beautiful! I had goose bumps the whole time reading it! love you Marcela. Thanks for sharing Marcella. What a beautiful tribute to your Dad's Life, very moving!! Brought tears to my eyes. That is the most appropriate part and throughout we need to see a lot and also niagara falls canadian side is godly appreciated and works always.